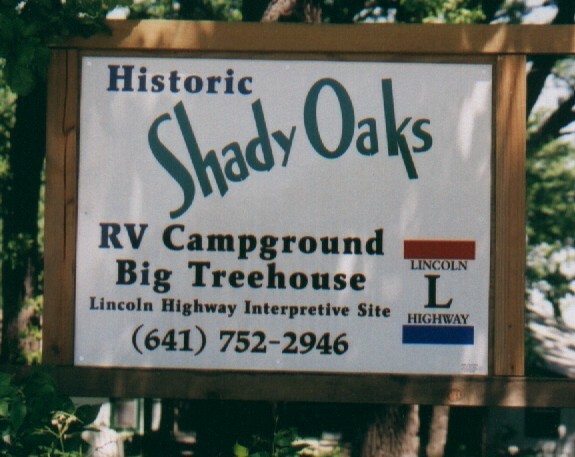 Nestled in the shade of giant bur oak trees, Shady Oaks is a restful retreat. 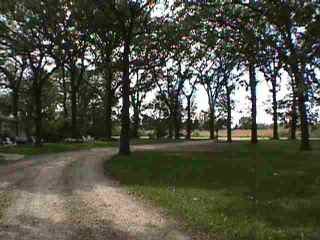 Our campground offers one of the most unusual attractions in Iowa, "The Big Treehouse" and gardens. Campers of all ages may tour the 12-level, 55-foot plus structure (weather permitting and guide availability). 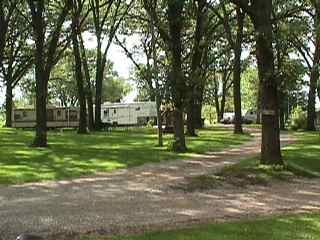 Shady Oaks is one of the oldest private campgrounds in Iowa (since 1850). It's story has been documented in the book "Quarter Mile Link." In 1996, as part of the Sesquicentennial celebration, the Iowa Department of Natural Resources named our stand of namesake trees to the Register of "Famous & Historic Trees." On the old Lincoln Highway (Shady Oaks Rd. 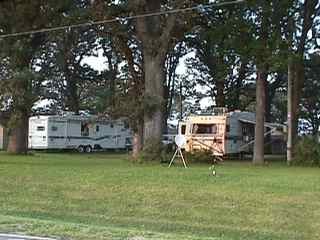 ), Shady Oaks Campground is 1/4 mile north of Highway 30 just three miles east of Marshalltown. The Mesquaki Casino is only 10 miles away. There are 13 sites with full hookups, plus 2 more with electric only. All 15 sites offer 30-amp service, and 5 of them also offer 50-amp service. 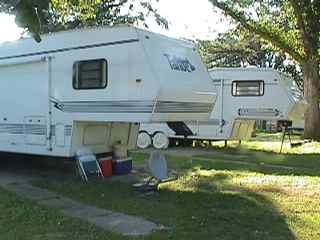 Five sites are drive-on (back-off) sites for motor coaches (40-foot units). 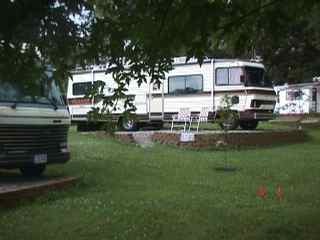 The other sites accommodate 30-foot plus units. Tent sites, with access to shower/bathroom facilities, are available. Call (641) 752-2946 for reservations. Where is Shady Oaks Located? - Print this to find us. Map of Camp Sites - Print this out if you plan to come camping.